To get an understanding of the possibilities in Security Systems let's have a close look at a very advanced system by the German company Mobotix. A modular system with exchangeable image sensors. Due to the more accurate detail of panorama images with megapixel technology fewer cameras are required. One camera can do a whole room. One camera can monitor an entire petrol station lanes. 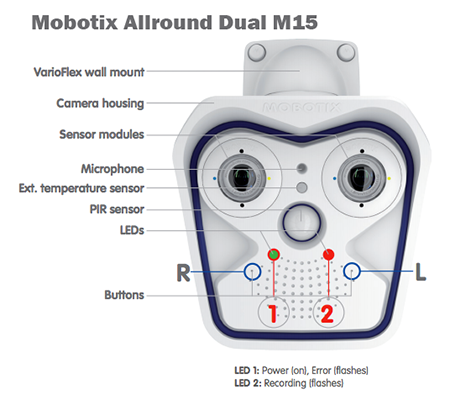 The decentralized MOBOTIX concept, a high-speed computer and if necessary, digital long-term memory (Micro SD Card) is built into every camera, providing several days of recording time. Hence you do not have the issues with transferring the data to a computer over a network. Flash-based storage devices (MicroSD cards, USB sticks and solid-state drives) do not contain any moving parts as compared to the commonly used hard drives. Flash-based storage devices are compact and highly resistant to moisture and vibrations. They feature low energy consumption and they do not lose any data in the event of a power failure, meaning that they are ideal for use with MOBOTIX cameras. Everything is processed within the camera itself and the high-resolution images do not need to be constantly transmitted for analysis. MOBOTIX cameras do not have any mechanical motors to operate the lenses or move the camera, making them so robust that maintenance is reduced to a minimum. Weather proof and able to continue operation if being knocked. MOBOTIX cameras and connected MxBus modules operate with built-in firmware whose functions are accessed by the MOBOTIX remote stations MxControlCenter, MxEasy and MOBOTIX App. When recording image or video sequences, you can choose to store either the section of the live image that is visible or the full sensor image (full image storage). 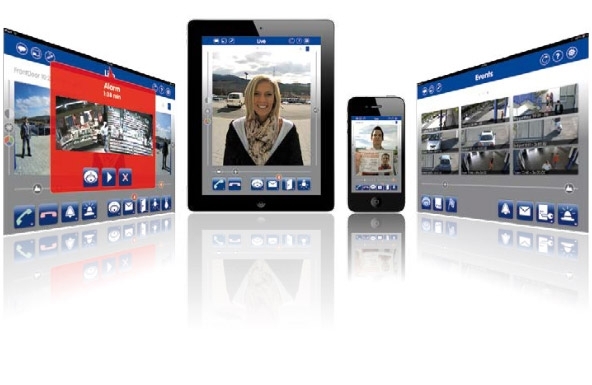 The MOBOTIX App is free and very convenient. Using mobile devices to operate the various functions such as door opening, activating the voice mailbox, switching the door bell off at night and switching a light on/off, is very convenient. A system with such features requires someone to install it properly who understands the capability of the equipment. AZTech Integrated systems specialise in Mobotix IP Cameras.